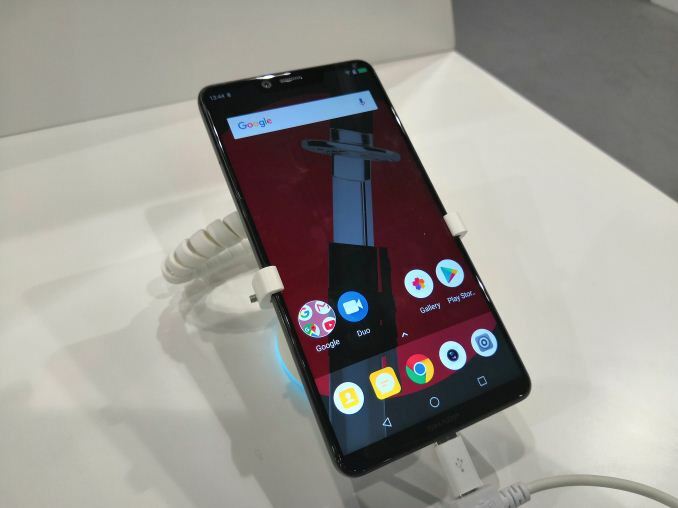 In the back of my mind I guess I had always assumed Sharp made some sort of smart device, but I was still taken aback at their booth at IFA, where the Sharp Aquos D10 smartphone was on display. 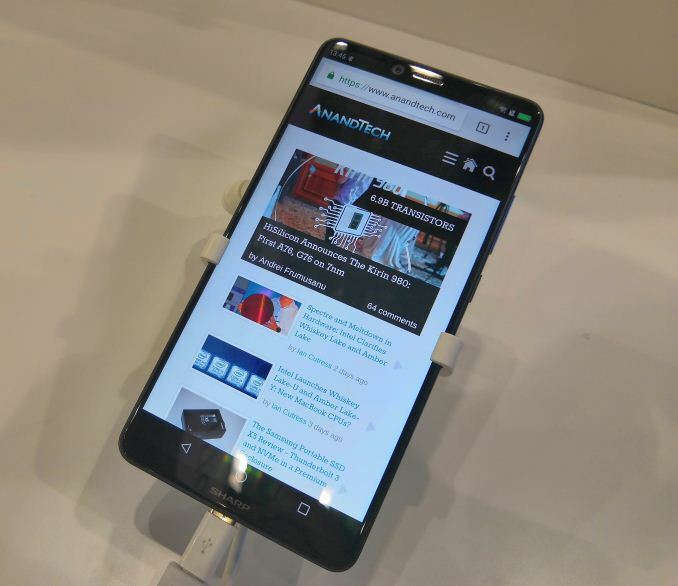 This device is very much an attempt at a focused mid-range product, but it was the display panel that was attracting the most attention. Truth be told, I’m not a fan of the Aquos name. I’m not even sure I pronounce it correctly. 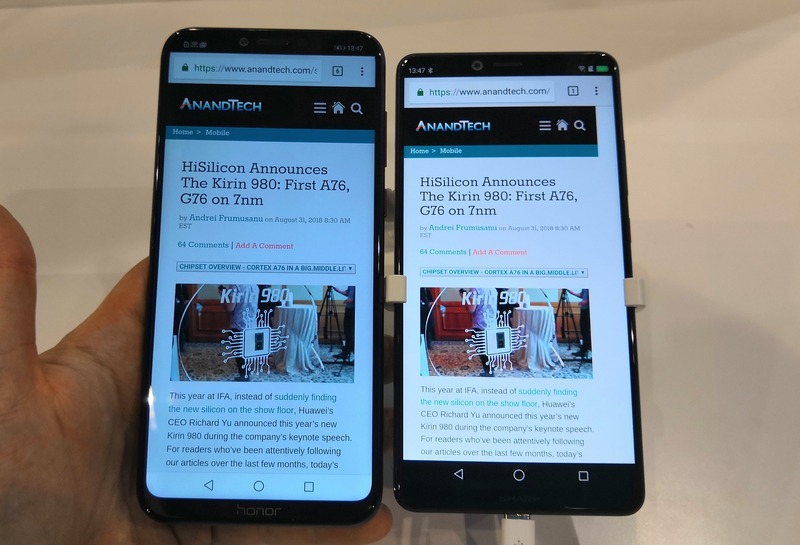 However Sharp has built the Aquos brand through its displays, and now has a good opportunity to bring innovate display technology to the smartphone industry, either through its own devices or through other OEMs. With a large part of IFA focused on 4K and 8K TVs, I had half hoped I had stumbled across another 4K smartphone, but instead Sharp’s new device states two interesting tid-bits of information. The focus is on the panel: a 5.99-inch 2160x1080 FFD LCD with a supposed 91% screen to body ratio. 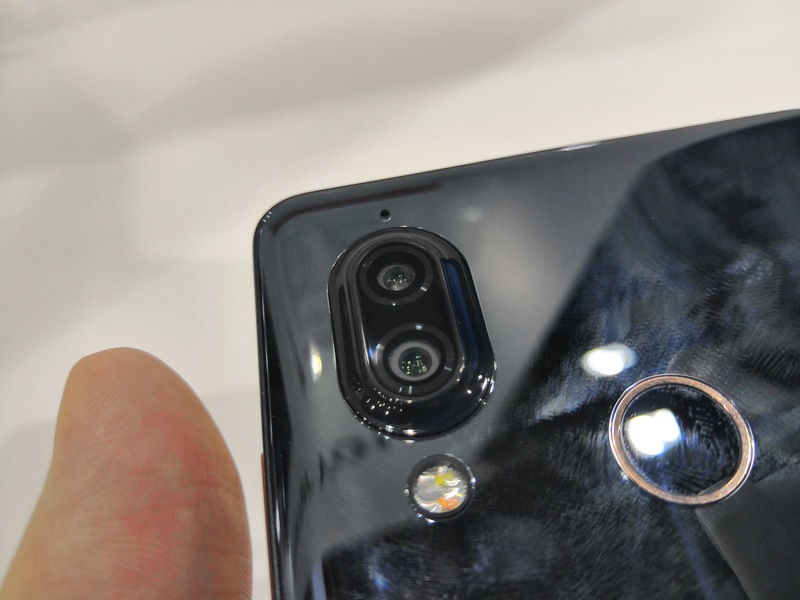 The device has a notch and a sizable bottom chin, so I’m not sure if that 91% holds up. Sharp also lists the display with a WCGP, a ‘Wide Color Gamut Panel’, but fails to elaborate as to what this means, although likely some high coverage of AdobeRGB or DCI-P3. This isn’t seen that often on a mid-range device, so it will be interesting to see if the display is also calibrated out of the factory. Under the hood of the Aquos D10 is a Snapdragon 630 SoC, which runs a quad Cortex-A53 (2.6 GHz) plus quad Cortex-A53 (1.8 GHz) configuration, and is paired with 4GB of DRAM and 64GB of storage. The device will ship with Android 8.0, however with ‘Sharp UI’ enhancements on top. On the back is a dual rear camera, listed as a 12MP+13MP combination, while the front camera is rated at 16MP. The fingerprint sensor is on the rear. The battery is a little smaller than I had hoped, only coming in at 2900 mAh, but Sharp lists over 20 hours of talk time with this. Dual nano-SIM is supported, along with a microSD card at 128GB (it isn’t stated if the microSD takes one of the SIM slots). Connectivity comes through the intergrated Qualcomm modem, which in this case is only Cat 4 (150 Mbps), but the Wi-Fi is 802.11ac dual band. It uses a USB Type-C connection also. The D10 is set to come to Europe in September, priced around 400 Euro. "a Snapdragon 630 SoC, which runs a quad Cortex-A73 (2.6 GHz) plus quad Cortex-A53 (1.8 GHz) configuration"